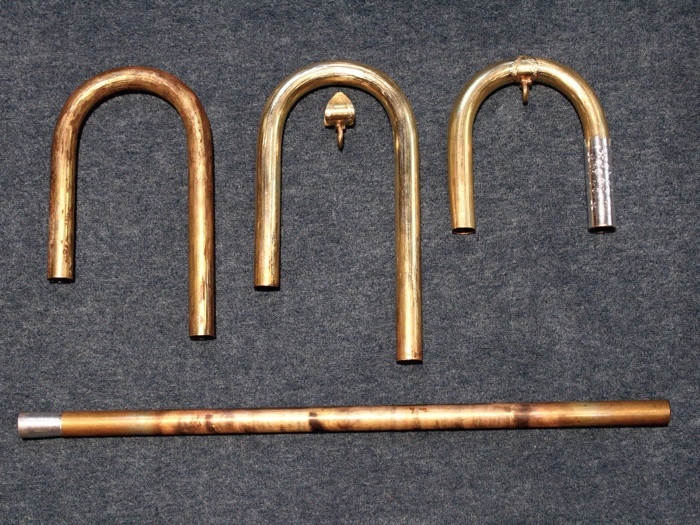 Using historical and traditional techniques, and based on the information obtained from our documentation, I was then able to produce a copy of the Birckholtz trumpet. 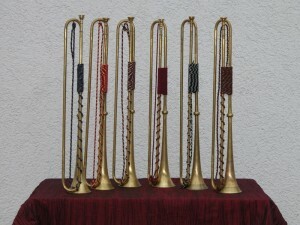 A copy is necessarily only an imitation of the original, but the entire exercise of documentation and making a copy are worth the effort, and gives us a better understanding of the basic concept that Wolff Birckholtz had in mind for his instrument, what input or suggestions his customers, the trumpet players, might have had, what materials and tools were available to him, which working techniques were in use around 1650, and which conditions and standards, according to the “Nürnberger Handwerksordnung”, the regulations of the trade, he was required to follow. 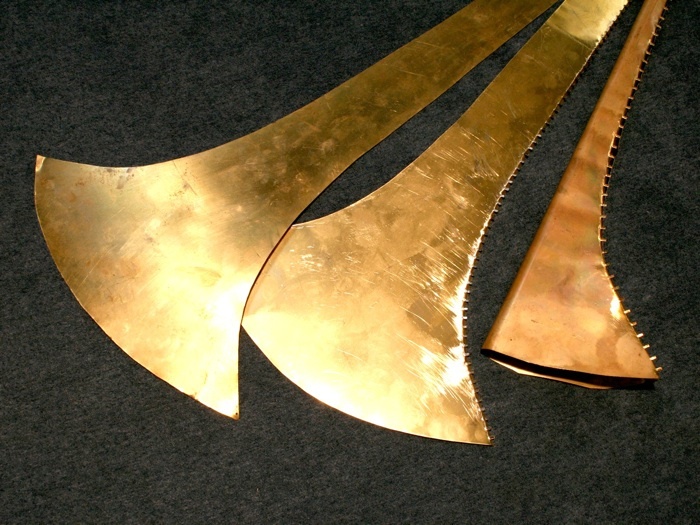 After cutting the pattern, cutting the teeth for the seam, soldering the seam with silver solder, and hammering into shape at the anvil, the bell slowly begins to take shape. 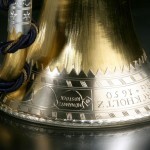 On a specially made steel madrel, with the exact internal dimensions of the original, the bell is then burnished by hand to its final form. 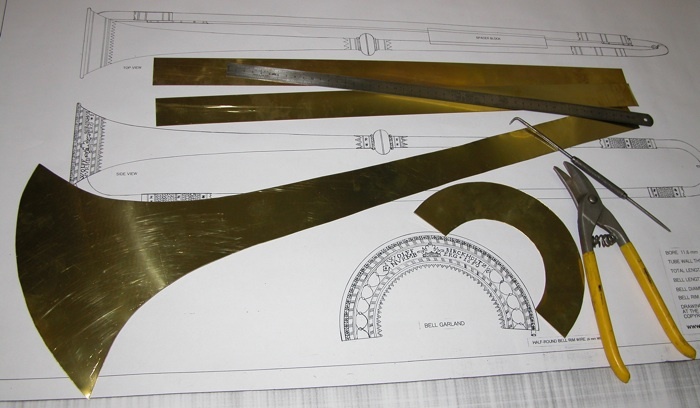 This mandrel was also used for shaping the garland. 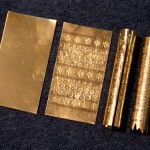 The remaining cylindrical tubes were formed from flat sheet brass, the seams soldered, and the tubes drawn through a draw plate to arrive at their final shape and dimensions. 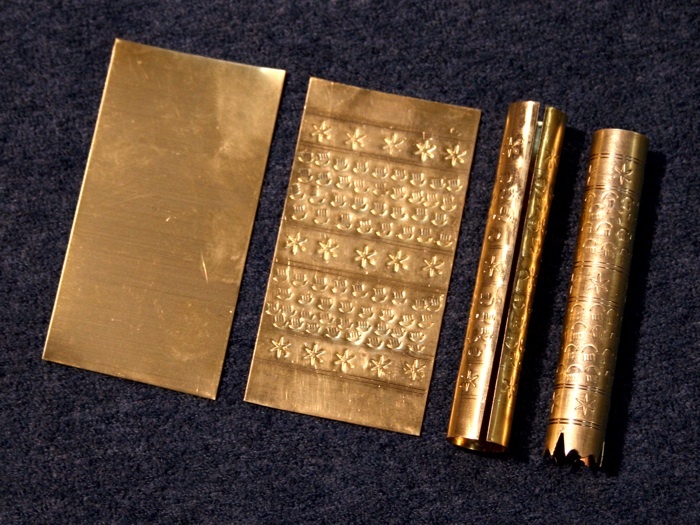 The ferrules and ball are made in a similar fashion from sheet metal, and decorated with various steel stamps copied from the original. 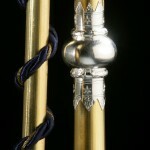 The garland was then engraved by hand by a master engraver, after which the ferrules, ball, and garland were silver plated. 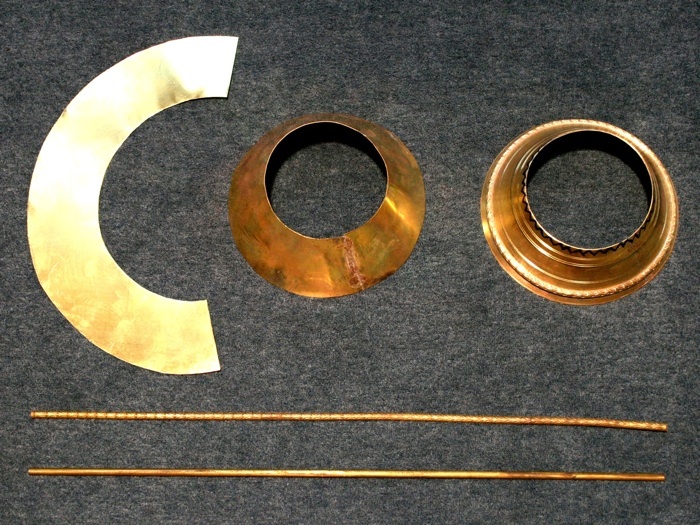 The rings and saddles for the bows were then formed, engraved, and assembled with silver solder. 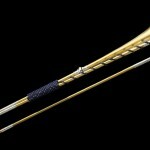 The tubing for the bows was bent around a wooden form, and the finished rings attached to the bows with lead/tin soft solder. 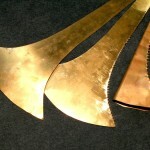 The surface of the tubes, bows, and bell were all scraped with a sharp scraper to arrive at the final finish. 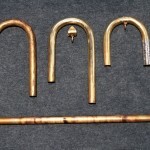 On each of the long yards and bends, one end was widened and the other end compessed into a taper, so that the joints of the instrument could be assembled without solder using a tapered lap joint. I normally use beeswax to ensure an airtight fit on these joints. 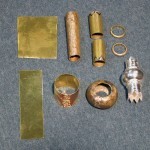 A wooden block was then used as a spacer between the bell and mouthpipe yard and wrapped with cord. 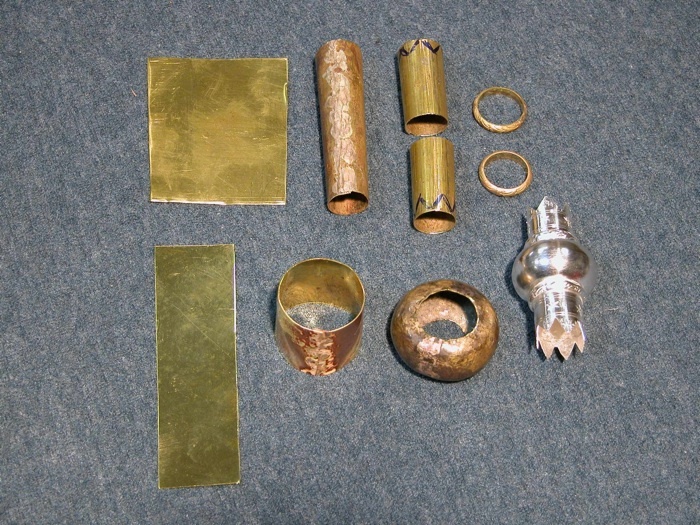 The bottom bow was attached to the bell by a piece of brass wire twisted around the bow and through a hole in the bell rim. 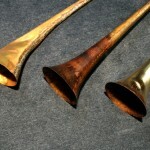 And then the moment of truth: Will the trumpet play? And if so, how well? The first notes played in my workshop were promising, but necessarily very subjective, after working so intensely with the greatest of expectations. 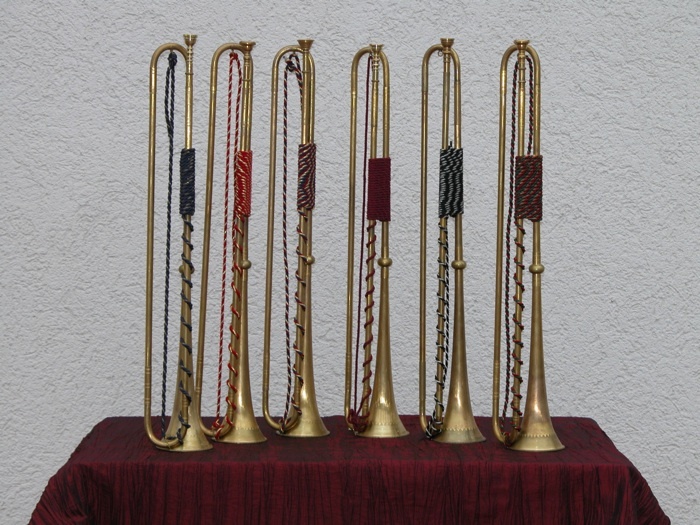 One of the finest and most experienced natural trumpet players in the world, Jean-Francois Madeuf, was asked to test and evaluate the instrument, and his opinion of the instrument was extemely favorable. 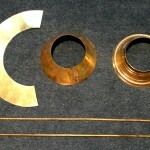 The first phase of the project was successfully completed! 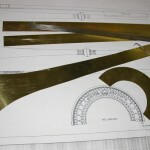 The next goal was to construct a set of copies to be used in performances of 17th and 18th century compositions. 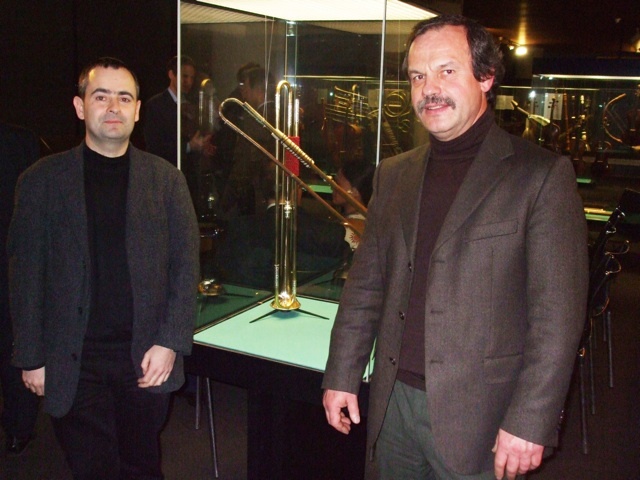 In January of 2009, as part of the “Internationalen Tagung zum Nürnberger Instrumentenbau“, I was able to present the original Birckholtz trumpet to the Germanisches Nationalmuseum in Nürnberg as a permanant loan from the church in Belitz. After lengthy discussions with colleagues in the museum collection field, I suggested to the church officials in Belitz that the trumpet, as an irreplaceable cultural treasure, should be given on loan to the instrument collection of the GNM in Nürnberg, where it would be properly cared for and displayed by their highly skilled staff of experts. 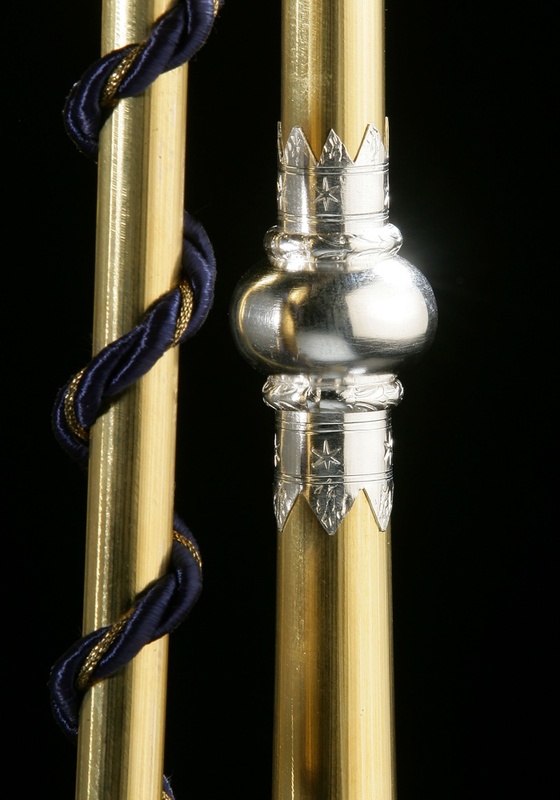 This collection enjoys a world wide reputation of excellence among musicians and scholars. 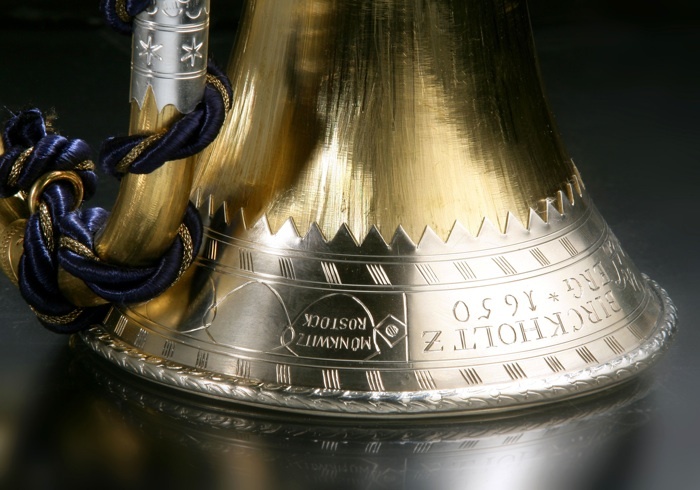 Today the original can be seen at the museum, displayed with a copy in a special case in the musical instrument collection’s main exhibit room. 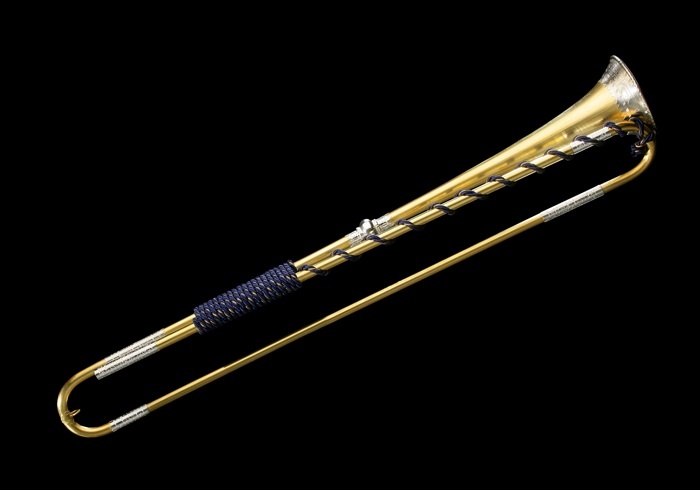 For their decision concerning this instrument, the administration of the church has gained the respect of all of my colleagues in the field, and of musicians everywhere. 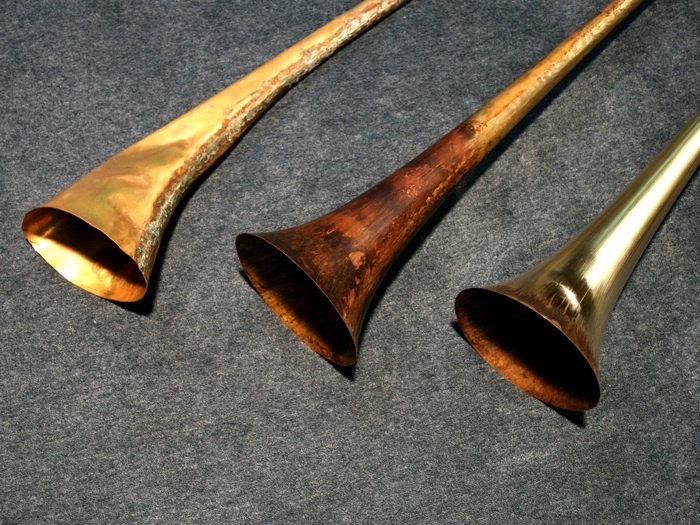 This entire experience of the Birckholtz trumpet project has been a wonderful example of how we should see our responsibility toward our historical and cultural inheritance. Please make an appointment in advance ! From Rennbahnalle turn to Tannenweg, drive until you can see the yellow city exit sign of rostock. Ignore the house numbers and entries to the businesspark. The correct entry is directly before the city exit sign and a blue building with the trombone hanging from the roof.